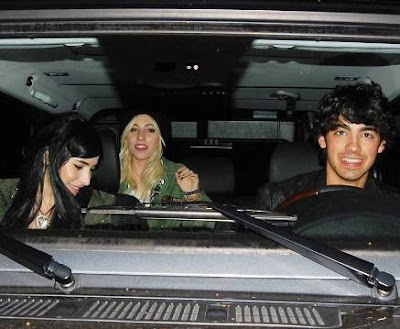 Joe Jonas was seen hanging with his good friends, The Veronicas on April 12. They were all smiles with the paparazzi. Joe was also seen with Camilla Belle this week. Sources are reporting that Joe and Camilla are still dating, and are very happy together. Note: The Jonas Brothers actually went on tour with The Veronicas, and became very close friends.